Oatmeal Cookie Crush | What's Cooking at the Genua's? Now if you give me an oatmeal cookie I’m all over it! Love them! Throw some raisins in too if you want (though this is the only way I will eat raisins as well, in cookies). And if you make it into a cocktail well you know I will drink it for sure! This is a really tasty and yummy cocktail. A couple of the ingredients were used in the Chocolate Chip Martini I posted a few weeks ago so you won’t waste the booze! It does however call for an ingredient that you probably won’t use much of, Goldschläger Cinnamon Schnapps. So buy the smallest bottle you can find unless you plan to use it again. You only use ½ ounce for two drinks so it won’t be used quickly. 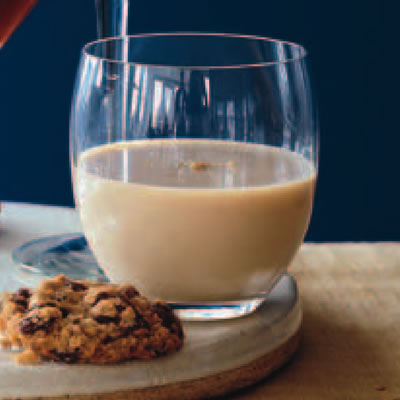 Garnish your drinks or serve them with your favorite oatmeal cookies! Who says you can’t have a cocktail and cookies! I also found this recipe in an old Rachael Ray magazine several years ago. 1. Fill a cocktail shaker halfway with ice cubes. Add the butterscotch schnapps, Baileys, rum and Goldschläger Cinnamon Schnapps. Shake well. Strain into 2 rocks glasses. Sprinkle with the crushed cookies if you wish!